Florida has long led the nation in overdose deaths each year. We have all known someone whether it be a friend, co-worker or family member that has had a drug addiction. This has to be one of the most helpless feelings in the world, knowing that there isn’t much you can do for them. What if you could confirm or deny your suspicions with one phone call? If you knew for a fact that a loved one was using drugs, you could take immediate action to get them help. 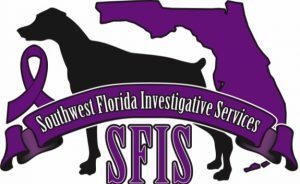 SFIS offers comprehensive, reliable, highly trained and certified Drug and Narcotics Detection using our passive alert trained sniffer dogs. Contact us for a free consultation to see how SFIS can help you today!